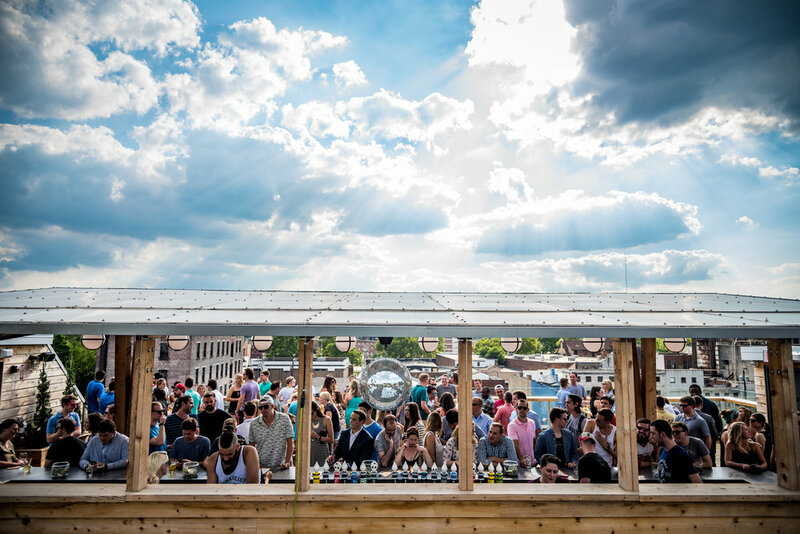 Renovation to Rhinegeist's historic brewery continued onto the roof with the construction of a rooftop bar and lounge. We were commissioned to design, build and install the main bar, seating elements and timber framed pergolas to provide shade. 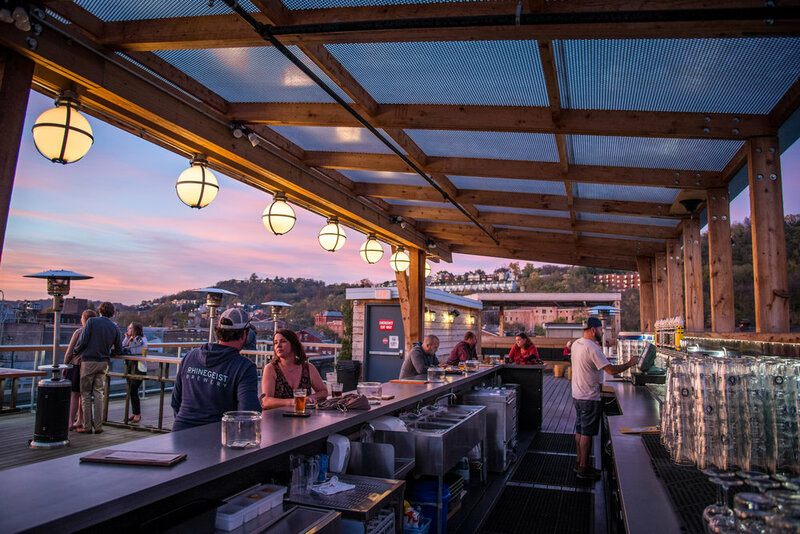 Utilizing mostly Eastern Cedar, the pergola was constructed using custom fabricated, galvanized steel frame supports, perforated stainless steel and corrugated, UV blocking poly carbonate. Other pergolas utilize barrel staves for louvered shade. The bar is clad in charred cedar planks done in traditional shou sugi ban methods. A paper-stone bar top offered a unique, outdoor rated textural experience. 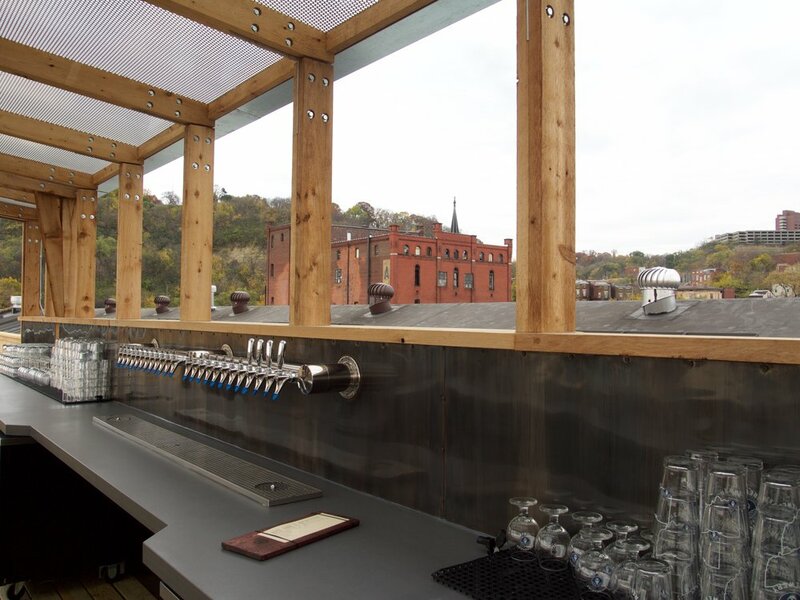 The back wall of pergola opens up to frame the surrounding hillsides of Cincinnati. A blackened patina was applied to the steel backsplash to induce and control the feeling of age, a texture that works well within the industrial city view.